If you've been following our site, we post great new ideas from entrepreneurs on Kickstarter so they raise funds to get their project off the ground. Kickstarter has helped companies such as Custom SLR and many others kickstart their business. 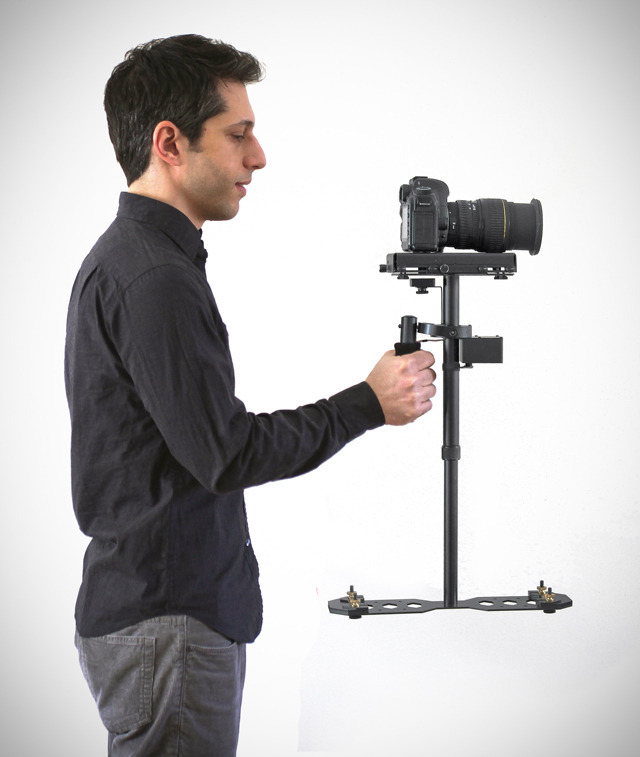 One of the newest products to hit Kickstarter is the Supraflux Camera Stabilizer from the creators of the 2010 Kickstarter Picosteady campaign. 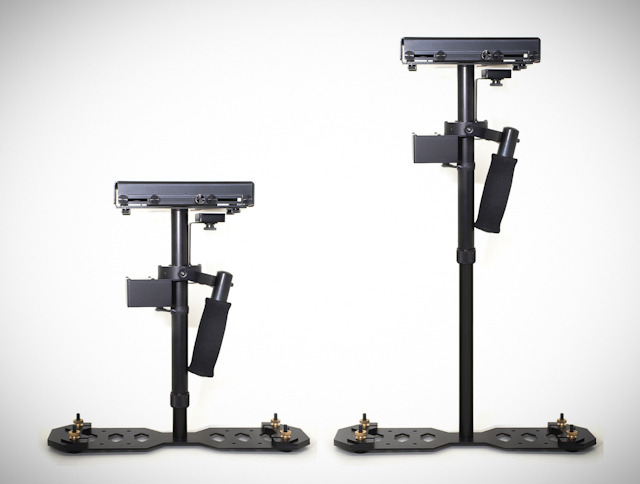 The people at Supraflux, are looking to tackle a camera stabilizer for full sized cameras. The goal for the project is to raise $27,900 to pay for getting the first order of parts machined, assembled and shipped out. The new stabilizer will retail for around $795, but if you support the project with a pledge of $595 you can get your stabilizer for $150 off. 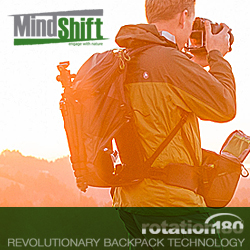 The first 100 backers of $495 or more will get a early bird special of $250 off retail price. It received 80% of it's funding the day the Kickstarter campaign started. Within a day, the project is fully funded with over 40 days left. If you're interested in the Supraflux or just want to help out, take a look at their Kickstarter page. 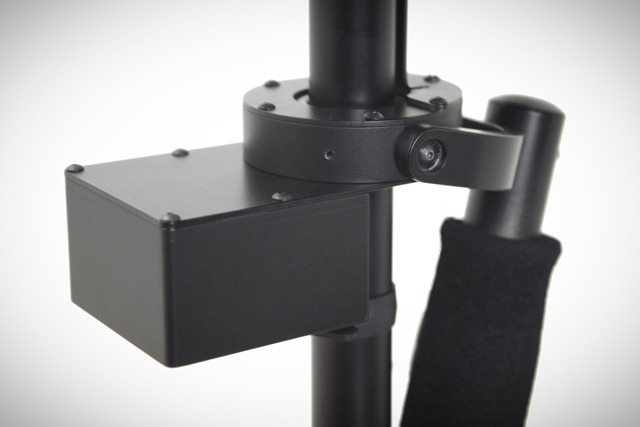 Continue reading for more information about the Supraflux Camera Stabilizer. If you shoot video, you probably know that you need a stabilizer to get professional-looking footage that is smooth and stable. A stabilizer allows you to get that gliding camera effect, and ensures you don't get shaky amateur-looking footage that gives viewers a headache. Unfortunately, most stabilizers require a lot of experience to operate properly. Direction changes and panning are some of the biggest challenges when shooting with a stabilizer. The goal of a stabilizer is to keep the camera steady by absorbing your movements. So when it comes to turns, this effect actually keeps the camera from turning with you. When you want the camera to turn, you have to use your fingers to change the stabilizer's direction; thereby destabilizing the camera. It takes lots of practice to get stable direction changes using this method and even then, sometimes you ruin an otherwise great shot. Until now. We set out to design a device that allows you to turn the camera without upsetting its balance. The result is the Supraflux Stabilizer with The Brake (patent pending). The Brake gives you complete control of turns by locking one axis of the stabilizer at the touch of a button. The other 2 axes remain free-floating continuing to stabilize the camera. 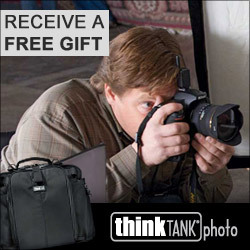 The result is a completely seamless transition from free to locked and complete control of your camera. This means you can turn the camera exactly how you want, when you want<. No more touching the stabilizer and ruining the shot. This will change the way you film. Thanks to precision-machined aviation-grade aluminum and virtually frictionless ball bearings on all rotating parts, the results are incredible stabilization and professional looking footage. The adjustable central bearing means the Supraflux stabilizer can be perfectly balanced in all directions as opposed to many stabilizers that will get out of balance when rotated. 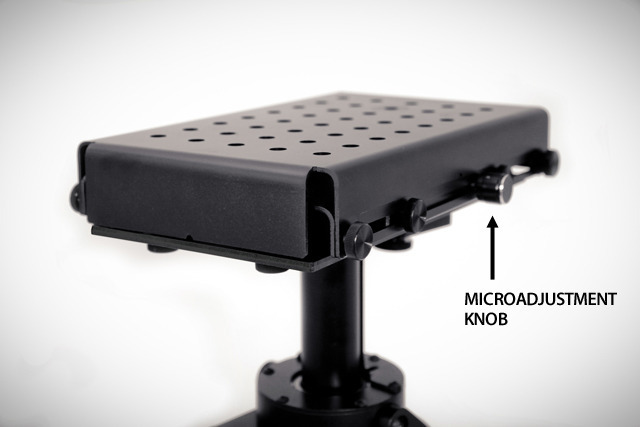 - Balancing the camera is made easy with the top stage micro-adjustment mechanisms in both directions. To move the camera, all you need to do is turn the adjustment knobs. One turn of the knob moves the stage by 0.03" (0.8mm). No more frustrating back and forth adjustment. - You can precisely know when the camera is balanced by using the integrated bubble level on the bottom plate instead of looking at the shaft and trying to make it look straight. 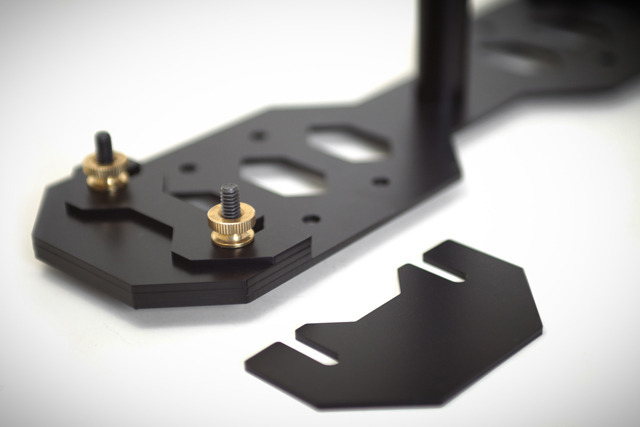 - It's faster and easier to remove the camera with the slide-out camera mounting plate. No more losing the mounting bolts. Just loosen them and pull the mounting plate up. - The non-slip rubber surface on the top stage keeps your camera secure and prevents it from shifting and destabilizing the balance. - Changing the counterweights is easy with the slide-out weights. No need to remove the bolts, just loosen them and slide out to remove or slide in to add weight. You can even do it with the stabilizer standing up. - The multi-position bottom plate lets you fine tune the inertia of the setup so that it feels right for you and for the type of shot you're taking. Outer position for more stability, inner position for nimble direction changes. - The telescopic tube allows for a very precise setup of the dynamic handling of the stabilizer. 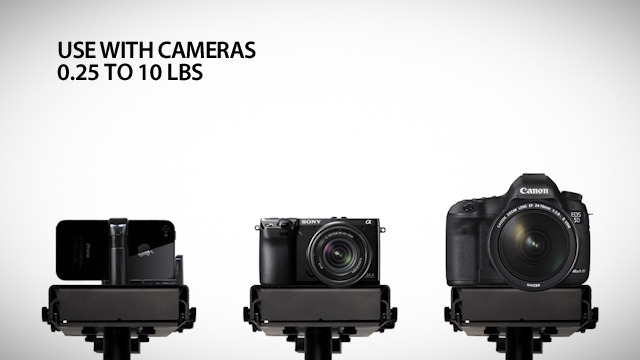 This means you can perfectly balance any camera weighing 0.25lbs (115g) to 10 lbs (4.5kg). - We added graduation marks on the tube to be used as a reference when fine tuning the stabilizer. It is also a convenient way to remember your setup when changing cameras. - We also made sure that standard setup and adjustments don't require any tools. No more screwdrivers to install your camera. 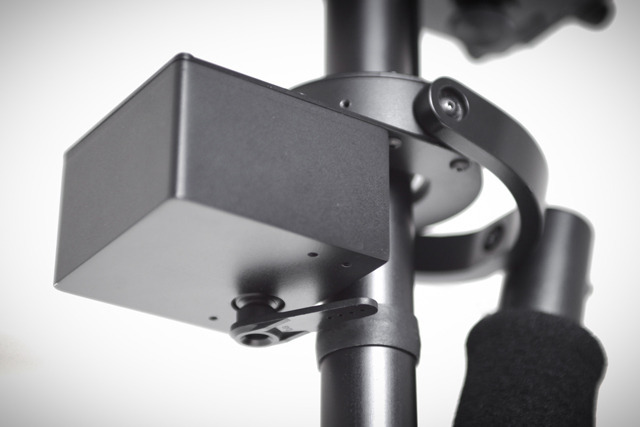 The Supraflux stabilizer will work with virtually all cameras ranging from 0.25 lbs to 10lbs. This means iPhones and smartphones, GoPro cameras, point-and-shoot cameras, microsystems or mirrorless cameras, smaller DSLR and big DSLR, the RED cameras, semi-pro and pro video cameras will work great (see FAQ below). This stabilizer is built to grow with you for years of use. The Supraflux stabilizer remains light (3.2 lbs without counterweights) thanks to its aluminum construction. With the telescopic tube collapsed, the stabilizer is less than 15" tall and dismantles easily to fit in a carrying case or bag. The black anodization on the aluminum provides a tough finish to protect the surfaces from the elements and during transportation.